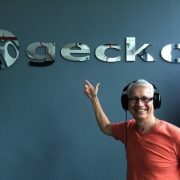 Gecko Music Group is the home of Gecko Audio Canada which is a global leader in professional audiophile equipment, accessories, musical instruments, and acoustic design. All Gecko Audio products come with a three (3) year limited warranty. For technical assistance, kindly contact your Gecko Authorized Reseller. To revolutionize the global market of professional audio, acoustics and music, with a warm touch and individually tailored needs. Gecko Audio Canada is the home of professional audiophile equipment which have gained a reputation for superb sound a clarity unlike any other brand. From Line Array Systems to Speakers and Mixing Consoles, our products have been tried a tested in top recording studios and live event venues around the globe. Thus making Gecko Audio Canada the home of state of the art audiophile equipment. Developed and upgraded from the highly-popular EXODUS ATOM MXR 808A, we are now the home of the all-new GECKO® EXODUS ATOM MXR 1208A 12-channel active C.R.I.S.T.A.L.® Audiophile mixing console is a multi applications compact powered mixing console which provides a comprehensive live and installed sound solution for small-to-midsize venues with unrivalled sound quality, performance, features, and reliability. I can say in my 30 over years of being in this industry I know what works for me and would recommend the GECKO® MAESTRO HRM 1881PRO C.R.I.S.T.A.L.® Audiophile reference headphones to all musicians! I know that GECKO® puts its heart and soul into each and every product it designs…the AYERS ROCK DI 100P is truly an amazing product. 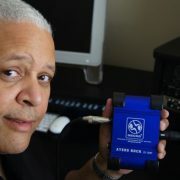 GECKO MUSIC GROUP is on the cutting edge of technology and sound, and I am a proud and thankful to be a GECKO® Ambassador! 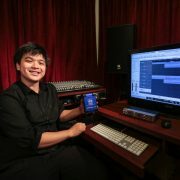 Being a passionate musician, educator and producer, I find GECKO® professional audiophile products a huge boon to my playing, mixing, and education as it gives me the smallest details through its many products – the DI, the mixer and speaker system, and the amplifiers. It has been a mainstay in my life and in my studio work, and will continue to be a hallmark of quality. GECKO® Ambassadors belong to a worldwide family of elite singers, song writers, musicians, sound engineers, and producers whom possess incredible talent, of which we at Gecko Audio are proud to share with the world. If you are interested in submitting your materials to Gecko Audio and are active in the music industry, fill out our online application to join the GECKO® Ambassador Program today. Sign Up for Gecko Product Updates, Events & More!